Adding a screen enclosure to your home is not just a home improvement, it is a lifestyle improvement. Your screen room will become a focal point of activity where everyone will feel more comfortable enjoying the outdoors without the pests of Mother Nature. Your new screen room will allow you to enjoy the fresh air of Spring without the rain and the warmth of a Summer evening without the insects. Imagine an outdoor dinner South Alabama with no bugs! All Aluminum Framework That Lasts! Unbeatable Warranties Guarantee Our Work! 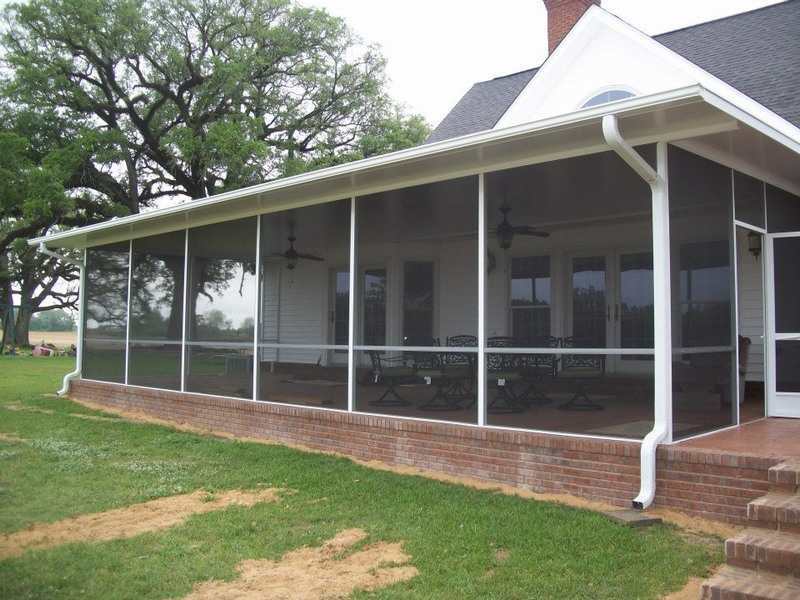 Numerous Screens Available: Standard Fiberglass, Solar Screen, & Pet Screen. Hathcock Home Services builds screen rooms in Dothan, Ozark, Enterprise, and the surrounding southeast Alabama region. We also serve customers in parts of southwest Georgia and the northern Florida.